The magnificent and colorful works of shark art lining the hallways of Grade 3 (a project led by art teacher Kara Angeloni-Williams) gives only a brief, but artistic, glimpse into all that transpired in a two-month unit of study on sharks. 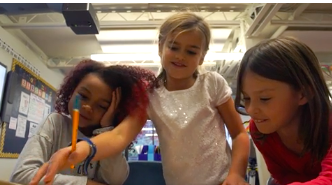 This collaboration involving homeroom teachers and specialists in the areas of science, library, language, and technology showcases the power of transliteracy unfolding in our classrooms at Nashoba Brooks School. Science teacher Kelly Western began the unit by giving students the ability to track sharks that were individually assigned to them with an attached beacon. Our budding marine biologists used an online resource called Ocearch on their Chromebooks to chart their movements to learn more about their surfacing patterns, how far out into the ocean they travel, as well as potential migratory patterns. Students learned that sharks are a keystone species: if they are stressed or are dying, it is a signal that our oceans are not healthy. This integrated unit extended into the library through literature. Students read two books about sharks: The Three Little Hawaiian Pigs and the Magic Shark and Sea Creatures from the Sky. 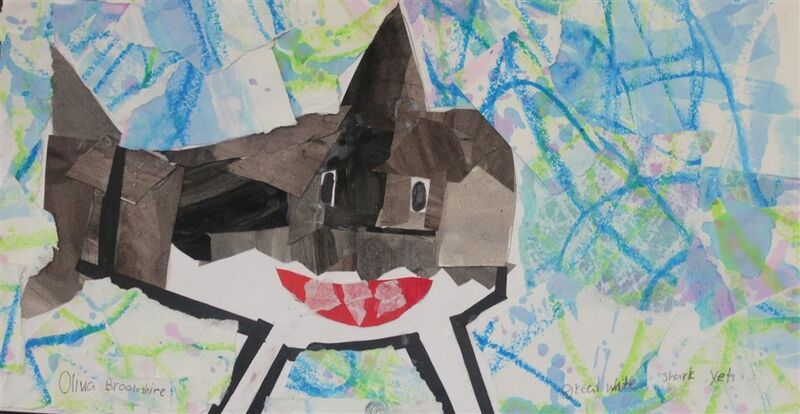 The students compared and contrasted how sharks were portrayed, especially timely when considering the swirl of attention around these creatures due to increased sightings and recent encounters with humans on Cape Cod. 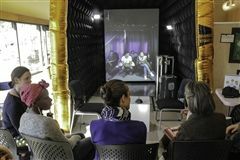 Using Skype technology, students also had the opportunity to interview Madison Stewart, asking questions they had prepared in advance with the help of their teachers. Director of Educational Technology and Innovation Hank Bryant taught our Grade 3 researchers how to use Google slides to present their findings about their specific type of shark. With Spanish teacher Amy Riddle, students found their shark names in Spanish with PebbleGo Spanish, and some students found developed a slide in Spanish about their shark, translating their learning into another language. For the culmination of this unit of study, students will embark on the next leg of their journey: a trip to the New England Aquarium to see these wonderful creatures up close and personal, bringing with them all they learned through multiple platforms. 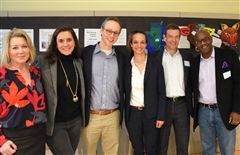 On Tuesday, March 26, Nashoba Brooks School hosted its annual 2019 Ellis Lecture on the topic of Trends in Children’s Wellbeing. Rachel Simmons, best-selling author of Enough As She Is and Odd Girl Out, visited Nashoba Brooks School on Thursday night, February 7, for a raw and candid conversation on the challenges and mounting pressures facing adolescent girls and young women today. 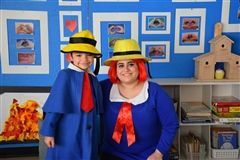 Nashoba Brooks School welcomed current and prospective families as well as friends in the community for Winter Weekend 2019, a festive three-day lineup of activities. In October 2017, Nashoba Brooks Alum Meghan Spring (‘90) became the youngest appointed judge in Massachusetts after Governor Charlie Baker nominated her to serve as Associate Justice in the Middlesex Probate and Family Court. 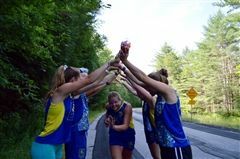 Nashoba Brooks School alumni Melissa Hoey (‘10) ran 4,000 miles across the country this summer from San Francisco to Boston for the Ulman Cancer Fund for Young Adults (UCF). 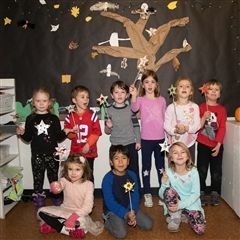 Culminating their integrated classroom unit on nighttime, Kindergarten students and their families gathered at Nashoba Brooks School for Kindergarten Night Magic, a beloved decades-long School tradition and an important part of the Kindergarten curriculum. 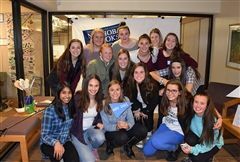 On November 20, young alumni from the classes of ‘15, ‘16, ‘17, and ‘18 were warmly welcomed back to campus to reconnect with each other and their former teachers. On Tuesday, November 20, Nashoba Brooks School students and employees dedicated the morning to service, demonstrating appreciation of their School and the broader community. 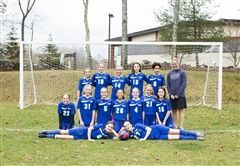 The Nashoba Brooks School varsity soccer team closed out a successful season with a final record of 7 wins, 1 loss, and 3 tie games in their 11-game season. 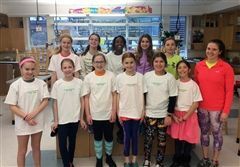 Nashoba Brooks School Middle School students participated in the annual Cradles to Crayons collect and sort at Nashoba Brooks School on Sunday, October 28. The October 16 Parents’ Association (PA) meeting included a lively and informative panel discussion on transliteracy: its importance, definition, and integration into the classroom. 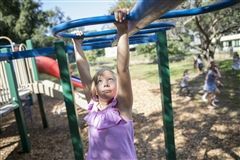 In all aspects of our children’s lives, we want them to engage in new experiences. 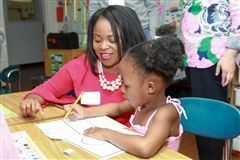 Our hope is that children will grasp new opportunities, build connections with peers and mentors, and diversify their skill sets. However, taking that first step is challenging. 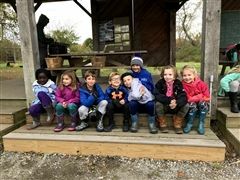 Grade 2 students took a field trip to Gaining Ground in October. Gaining Ground is a non-profit organic farm in Concord that grows vegetables and fruit, with the help of community volunteers, for people in need. Internationally recognized thought leader in K-12 education Grant Lichtman visited campus for the day to share his insights into today’s evolving K-12 landscape, addressing how parents and educators can support our students through change and innovation to best prepare for the future. A Grubb mini-sabbatical brought music teacher Paul Benzaquin to Ethiopia this past July to teach English to orphaned children in Addis Ababa with the Selamta Family Project. Susan Lewis, Middle School science and homeroom teacher, attended the GGSC (Greater Good Science Center) Summer Institute for Educators at UC Berkeley as part of the Grubb mini-sabbatical. Family and friends from near and far visited us Monday, May 14, for our 2018 Grandparents’ and Special Friends’ Day. Last Friday, representatives from C-SPAN and Comcast joined us at Nashoba Brooks School to celebrate our four winning teams in the 2018 C-SPAN StudentCam documentary competition. 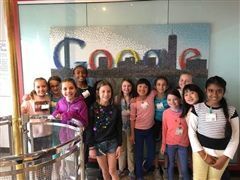 Grade 4 students visited the Google office in Cambridge on April 27. 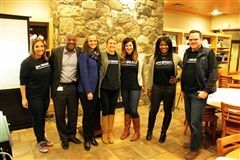 Led by Grade 4 teachers Laura Lande and Meredith Gannon and Science teacher Kelly Western, the excursion entailed meeting with a panel of Google software engineers working on Search, YouTube, Android, and corporate infrastructure. It was an elegant evening of celebration for the Nashoba Brooks School community at the 2018 Spring Soirée: Champagne and Silhouettes on Saturday, April 28. More than 200 guests—including current and past parents, alumni, employees, member of the Board of Trustees and Board of Visitors—arrived in style to raise a glass to the many successes the School community enjoyed this year. 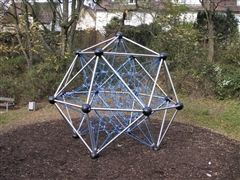 Thanks to the very generous support of a thoughtful donor, Nashoba Brooks School will be adding a fantastic new play structure to the Middle School outdoor space this spring. 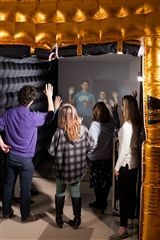 The climbing dome was designed specifically to promote and support inclusive engagement for students in Grades 4-8. This year’s Annual Meeting of the Nashoba Brooks School Board of Visitors and Board of Trustees Visiting Morning took place on Thursday, April 5, 2018. 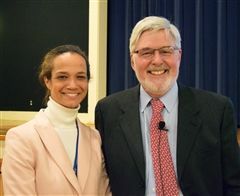 On Tuesday, April 3, Nashoba Brooks School hosted its annual Ellis Lecture with guest speaker Jerry Ward, Headmaster at The Fenn School. Jerry addressed School employees and recounted lessons learned during his long and distinguished career in education and two and a half decades at Fenn. His words shed light on the education of boys, the shared missions of both institutions, and the contributions of his wife Lorraine--his partner in life and at Fenn--who passed away last year. Nashoba Brooks and Fenn delight audiences with Grade 8 musical performances. 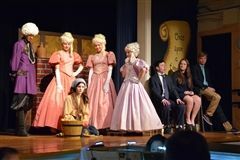 Students at Nashoba Brooks School and The Fenn School collaborated on two delightful musicals this weekend—Friday, March 2 through Sunday, March 4. Nashoba Brooks School and The Robbins House join for an inspired Concord_Portal connection with Resonate in Kigali, Rwanda. On Saturday, February 24, Nashoba Brooks School joined members of The Robbins House to facilitate a powerful conversation with university students in the Rwandan group Resonate, an organization that strives to unlock the leadership potential of women and girls through confidence building workshops and storytelling. 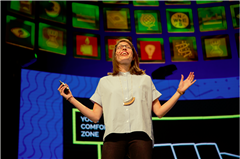 ﻿On Monday, February 5, Michelle Poler, a speaker, researcher, and influencer known for her blog 100 Days Without Fear and for the social movement Hello Fears, spoke at Nashoba Brooks School. Alumna Cara Fritz ('17) won the Gold Award in the 2017 Ocean Awareness Student Contest, sponsored by Bow Seat Ocean Awareness Programs. Nashoba Brooks School welcomed current and prospective families as well as friends in the community for a festive roster of activities during Winter Weekend 2018: Friday, January 26 through Sunday, January 28. The Nashoba Brooks School community--parents, employees, and members of the Board of Trustees--gathered in Wallace Dining Commons on Thursday, January 18, for the annual State of the School meeting. We are excited to announce that Michelle Poler will be a guest speaker at Nashoba Brooks School on Monday, February 5 from 7:00 to 8:00 p.m. in Tucker Auditorium. Nashoba Brooks School is helping to bring those across the globe together through a global public art initiative with Shared_Studios. On November 30, 2017, Gina Raimondo, the 75th Governor of Rhode Island, spoke to Grades 7 and 8 students. 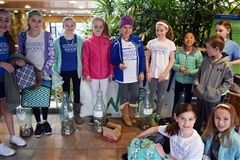 Nashoba Brooks Middle School students participated in the the annual Collect and Sort for Cradles to Crayons at Nashoba Brooks School on Saturday, November 18. 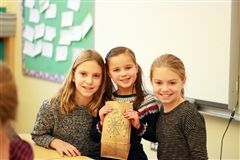 The event, organized and promoted by our fifth graders, was a huge success--and will provide needed items to more than 600 children in the Boson area. 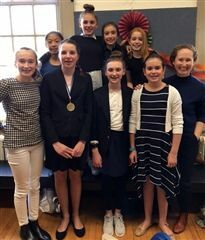 Four members of the Nashoba Brooks School Middle School Speech team placed first in their rounds at the TurkeyFest Speech Celebration for the Massachusetts Middle School Speech League. For the first time in a decade, the Nashoba Brooks junior varsity soccer team closed out a perfect season. On October 10, the School Safety committee welcomed current parents to a meeting on School Safety, which included a presentation by Michele Gay, Co-founder and Executive Director of Safe and Sound: A Sandy Hook Initiative. Congratulations to the Grade 8 Class of 2017! 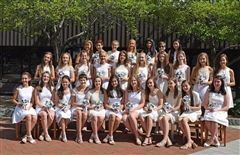 On Tuesday, June 13, Nashoba Brooks celebrated the graduation of the Grade 8 Class of 2017. Congratulations to the Grade 3 Class of 2017! Our third graders graduated in a lovely ceremony on Monday, June 12. 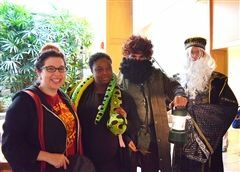 With a lot of work (and a little magic), Nashoba Brooks became Hogwarts this morning. On Friday, June 2, Massachusetts State Representatives Kay Kahn and Cory Atkins joined with representatives from C-SPAN and Comcast in celebrating Nashoba Brooks' six winning teams in the 2017 Middle School C-SPAN StudentCam documentary competition. 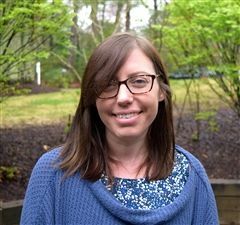 Cathy Bass, Nashoba Brooks School’s Library and Transliteracy Integration Specialist, has been awarded a grant to participate in a National Endowment for Humanities workshop focusing on the artistic expressions of the Gullah. 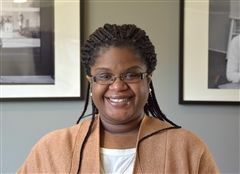 Regina Nixon, Director of Admission at Nashoba Brooks School, has been admitted to the Mid-Career Doctorate in Educational Leadership degree program at the University of Pennsylvania. 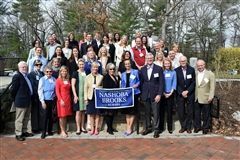 On Thursday, April 13, 50 members of Nashoba Brooks School’s Board of Visitors and Board of Trustees gathered to discuss the past, present, and future of the School. 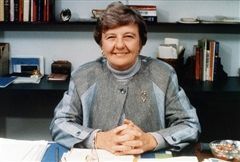 We are sad to share the news that Patricia Ann “Pat” Ellis, Director of Nashoba Brooks School from 1972 to 1992, passed away on Tuesday, March 28. Spirit Takes Over The School! 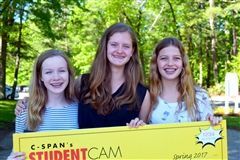 Congratulations to all of our eighth graders who participated in this year's CSPAN StudentCam competition! Led by advisor Sarah Cottrill, a Nashoba Brooks team participated in the Massachusetts State Science Olympiad competition on Saturday, March 4. 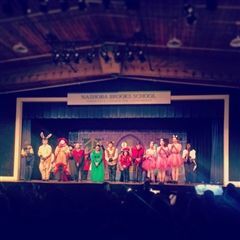 Students at Nashoba Brooks School and The Fenn School collaborated on two delightful musicals this weekend. Although a snow day cut Book Week short, the week was a wonderful success. 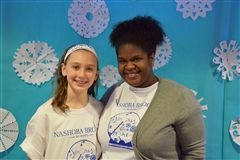 Nashoba Brooks’ Winter Weekend — Friday, January 27, through Sunday, January 29 — was a fabulous time for our current families, prospective families, and friends. Members of the community gathered in Achtmeyer Gallery on Thursday, January 19, to hear a presentation about Nashoba Brooks’ past, present, and future. Dr. Michael Thompson, renowned clinical psychologist, school consultant, and author, spoke at Nashoba Brooks on January 9. Over 40 graduates from the classes of 2013 to 2016 came back to Nashoba Brooks on Tuesday, November 22, for a chance to catch up with each other and School friends. On Tuesday, November 22, Nashoba Brooks’ students and employees dedicated the morning to activities in service to and appreciation of their School and the broader community. 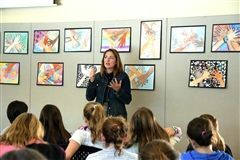 Jessica Lahey, author of the best selling book, The Gift of Failure, spoke at Nashoba Brooks School on Tuesday, November 1. 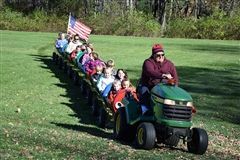 Sunday, October 23, was a perfect autumn day and the perfect day for the 2016 Nashoba Brooks School Harvest Festival. On the evening of Monday, September 12, a group of educators presented a thoughtful reflection on civil discourse. Grade 8 Class of 2016 Ice Cream Social Was a Treat! 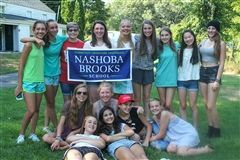 It was wonderful to see a number of our most recent Grade 8 graduates at a Nashoba Brooks’ Ice Cream Social at Kimball Farm on Wednesday, August 24. 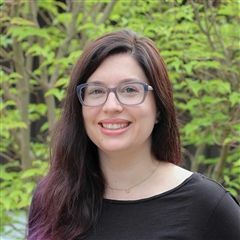 C-SPAN has announced that Lauren Funk, Nashoba Brooks School’s Grades 7-8 Social Studies teacher and Grade 6-8 Team Leader, is one of 30 educators from across the nation selected to attend C-SPAN Classroom’s 2016 Educators’ Conference in Washington, DC, July 11-12, 2016. 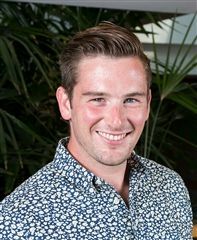 Jake Davey, a Grade 3 teacher at Nashoba Brooks School, has been awarded a Klingenstein Summer Institute Fellowship for 2016. The Klingenstein Center is part of Teachers College at Columbia University. On Thursday, June 9, Nashoba Brooks graduated 28 Grade 8 students in a ceremony filled with music, remembrances, and joy. The first of this year’s graduations was joyfully celebrated this morning when teachers, administrators, parents, relatives, and friends gathered to honor the 27 members of Nashoba Brooks School’s third grade.